Hello! If you saw my week in photos post last week then you will have read that I am going to start posting on my Instagram more (beautybeckyblog) which I have! Also, I know last week I posted a week in photos post, but I have called this #1 as it's my first week in Instagram photos post! Haha. A photo of me that I posted in My First Rambling Post // I never usually shop in Primark, but I have seen some people wearing some nice clothes from there recently so went and done some shopping! // My new star pyjama bottoms from Primark! They are so incredibly soft, like a towel, fleece, fluffy material, plus I love stars! // The majority of the time I am wearing nail polish but I took it all off ready for my Shellac manicure! // My favourite jumper from Topshop. It will be in my clothing haul which should be up soon! // My french Shellac manicure! I used to get Shellac and forgot how much I loved it. Those are all of my Instagram photos over the past week! I hope you enjoyed this post. I have scheduled this post so I am currently in London! Yay, I love London. 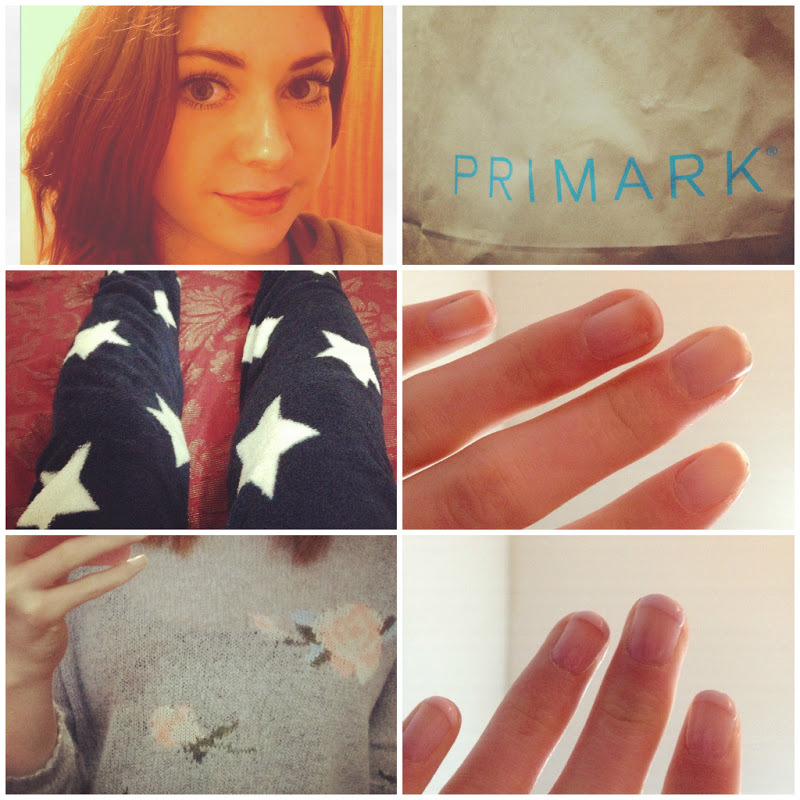 Nice photos :) I love good old Primark PJ's! I love your blog so much! It's so cute! :) I found your blog via the BBU Blog Hop and followed! Love these photos, love the pj bottoms they look so comfy hun! !